Want to bake like a professional in the comfort of your own home? 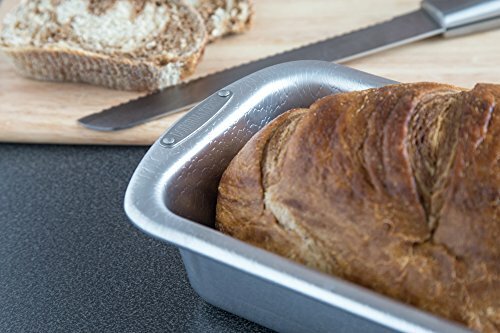 Our Loaf Pan is great for making sweet and savory breads, pound cakes, meat loaf, and more. 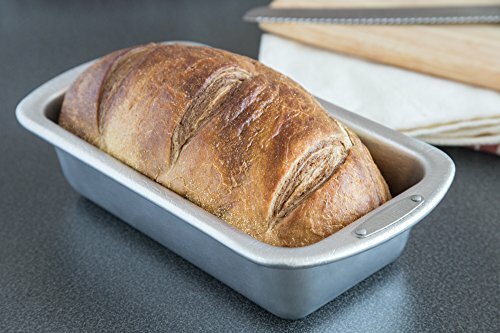 Made of premium heavy gauge, recyclable aluminum with strengthened handle areas, the pan features our original pebble pattern, which allows for airflow under baked goods for more even browning and quick release! 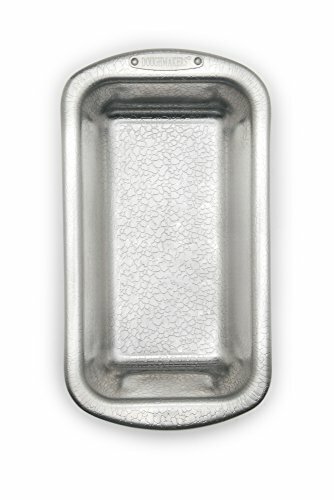 This non-coated bakeware's unique, natural non-stick properties means consistent, reliable and healthy results every time. The embossed pattern is also useful when greasing and flouring: it will help hold a bit of shortening that might otherwise be wiped off. 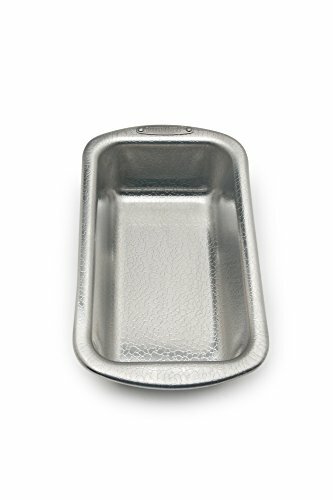 To keep bakeware looking its best, hand wash promptly in hot soapy water and dry before storing (Avoid detergents with a chlorine base). 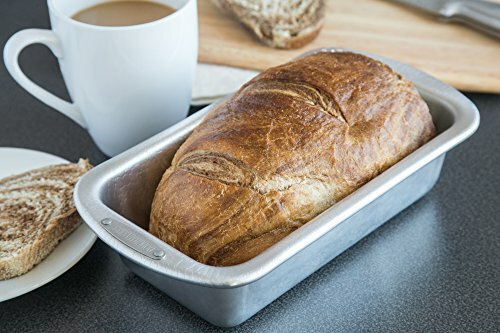 Put an end to baking with problematic coatings. 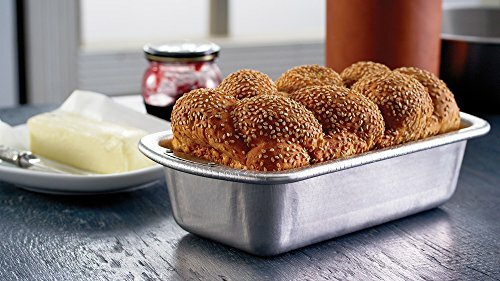 Experience the bakeware that home bakers love and professionals praise! 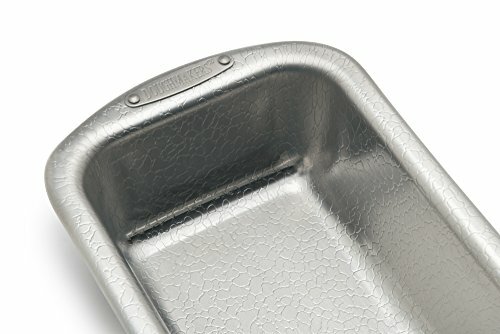 We put great effort into creating the world’s best bakeware. 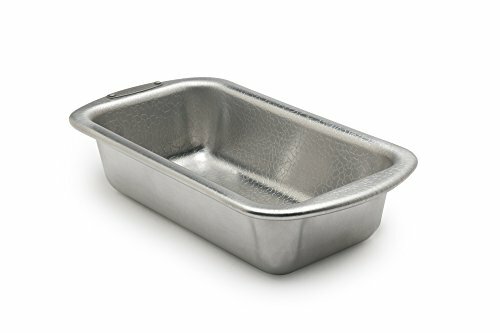 If within 30 days of purchase, you are not completely satisfied with our bakeware, you may return it to the place of purchase for a full refund. 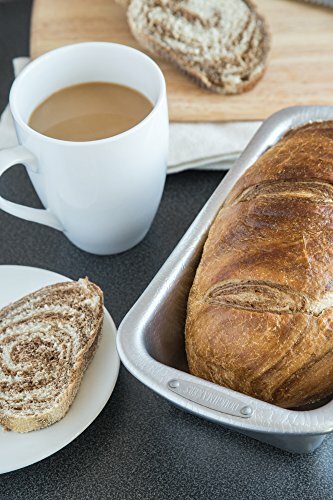 After 30 days, we will repair or replace, at our option, any Doughmakers item that is defective in materials or workmanship when used in home baking applications and cared for according to instructions. There is no time limit on this warranty, however this warranty does not cover damage caused by misuse or abuse, normal wear, or diminished performance resulting from improper cleaning or the use of non-stick aerosol sprays. If you have any questions about this product by Doughmakers, contact us by completing and submitting the form below. If you are looking for a specif part number, please include it with your message.